Four years ago, EVM made its debut in the lowfloor accessible market with a lowfloor Sprinter minibus conversion. Having earned renown in the executive minicoach sector, the business has now experienced considerable success with this newest concept, most notably with one of EVM’s largest ever orders to a school service provider (more on this later). Bus and Coach Buyer covered the model when it was launched, with Rob Orchard test driving it. 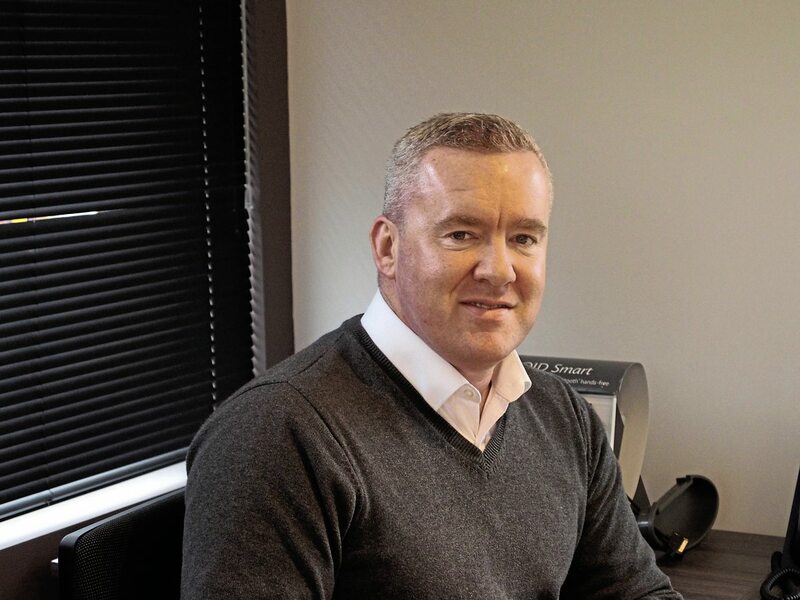 There have been some interesting developments with it over the years and Chris Peat visited the converter’s Crawley site to chat to Sales and Marketing Director, Peter Flynn, about how it has developed. The Sprinter was designed to be as versatile in its uses as possible, with city services, airport shuttles, park and rides and community transport schemes in mind. There were three main fundamental issues Peter said EVM wanted to address in the lowfloor area. Firstly, the doors; they were considered very unreliable on these vehicles, which often employ plug doors. These, he claimed, often have the problem of suffering from moisture damage and problems associated with exposed mechanisms. To overcome this, EVM fits a Masats double rapid-sliding door. Peter said: “The beauty of it is it’s one mechanism that sits on a single guide rail. You get no knocks on it, it’s out of the way. It pops forward 10cm to open. It’s very simple and very reliable. Masats give us good support for it too. It wins on height and speed of opening, which helps maintain the temperature in the cab and saloon.” Also helping to keep a warm temperature onboard are the double-glazed windows. Like all of its suppliers, EVM fully vets Masats to ensure they deliver the quality it needs. The Spanish company supplies every power door the converter fits. The second issue was ensuring a reliable drive system, which he said EVM’s lowfloor Sprinter addresses with its better designed drive shaft. The original drive shaft is used, which is completely protected by the structure of the lowfloor. The other element is price, with Peter saying the £82,000 plus VAT price tag for the entry level model is competitive. Currency changes between the Euro and pound, as well as the affects of the Brexit vote have impacted this initial figure. A Masats ramp is fitted, a single-leaf design giving a low profile and footprint in the lowfloor. The design of the ramp means a wheelchair user should experience a smooth transition from ramp to floor from any angle, which Peter said is unlike a cantilevered ramp used in other models. On releasing the lowfloor model, it was not long before the first of these was delivered, going to Cumbria-based Fellrunner. Operators like this are common customers for this vehicle, with community groups and councils also placing orders. 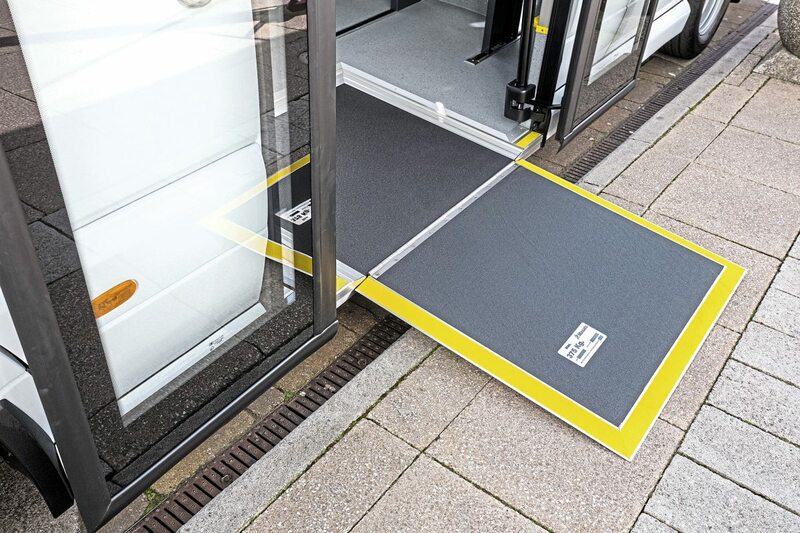 The design of the lowfloor means the body of the vehicle is closer to the kerb by almost 80mm meaning the driver can get the vehicle closer to the kerb and still be able to open the rapid-sliding door. In certain cases the wheelchair user can enter the vehicle without even deploying the ramp. Peter claimed it is the only vehicle that can pull up and open beside Tesco supermarkets’ access step, a textured pavement surface raised up to facilitate less-able bodied people to alight nearer the entrance of the shop. 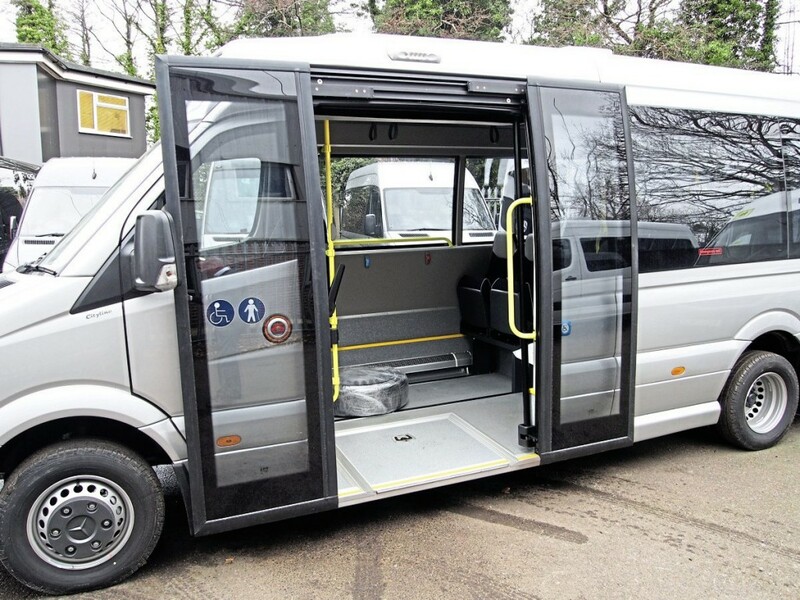 Peter believes the lowfloor Sprinter allows complete accessibility for wheelchair users and other less-able bodied people alike. For instance, it has been designed to allow wheelchair users to board and alight without assistance, being able to secure their wheelchair themselves. “Dignity” for persons of all mobility is what Peter said the company is trying to achieve with this design. 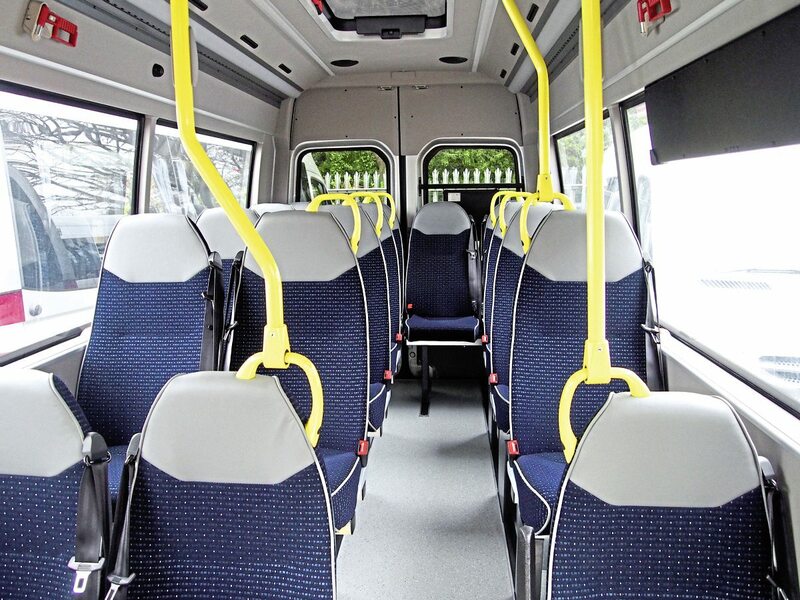 Up to 40% of passengers can sit in the lowfloor section of the Sprinter, Peter said. This means they do not need to climb the step up to the next section. A thin Masats fold-out manual ramp is fitted to the door, allowing wheelchair users access to their dedicated bay, which includes a safety belt and back board. 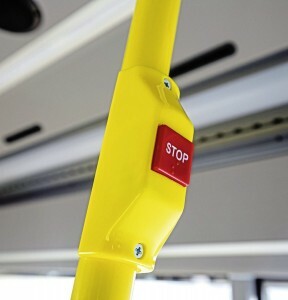 Prompted by feedback from customers, another design feature EVM has put in place is a staggered series of handholds throughout the vehicle, ergonomically placed. The layout has been created with less-able bodied and elderly passengers in mind, who often take one step at a time, standing with both feet together between strides, rather than placing one foot in front of the other with each movement. The spacing between seats has been adjusted with this in mind. Peter said: “We want to meet as many requirements of the end user as possible. Everything is a compromise, but we have to get it to meet the needs of passengers. We have listened to the end user and we think we have ticked as many of these boxes as possible. “For me, something that has always been of interest is the idea there should really be no difference between a big bus and an accessible bus. On a general day to day service, I don’t think the bus I take should be any different to the one wheelchair users use. Despite being a small bus, a notable point is that it is fully tested and approved to carry up to 25 passengers, 16 seated and nine standees. This, Peter claimed, is the largest capacity for this size vehicle on the market. Peter envisions the vehicle being used by service operators tendering for contracts, but then getting the added value of putting smaller vehicles on service at off-peak times. It could also be used for connector services between stations, linking up routes that use larger buses. 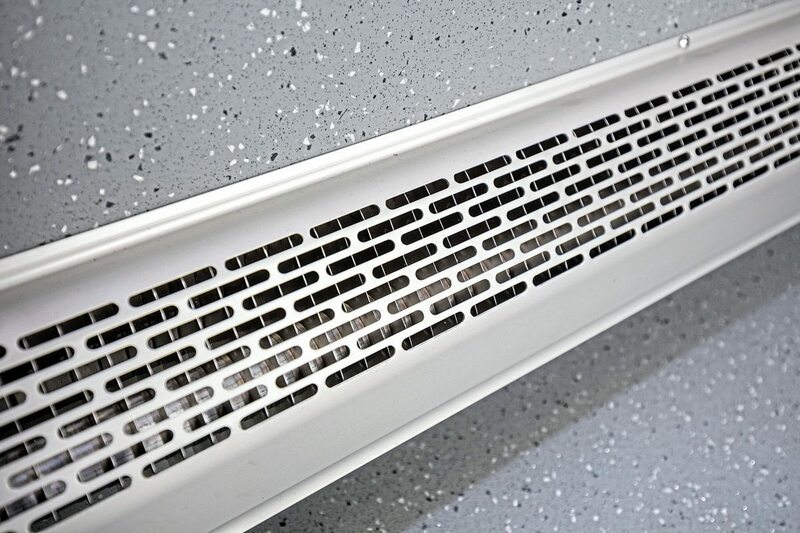 This provides a cleaner and more environmentally friendly solution than full-size vehicles. This idea has been embraced by several operators and councils throughout the UK with the EVM Lowfloor proving itself on varied routes throughout the country. 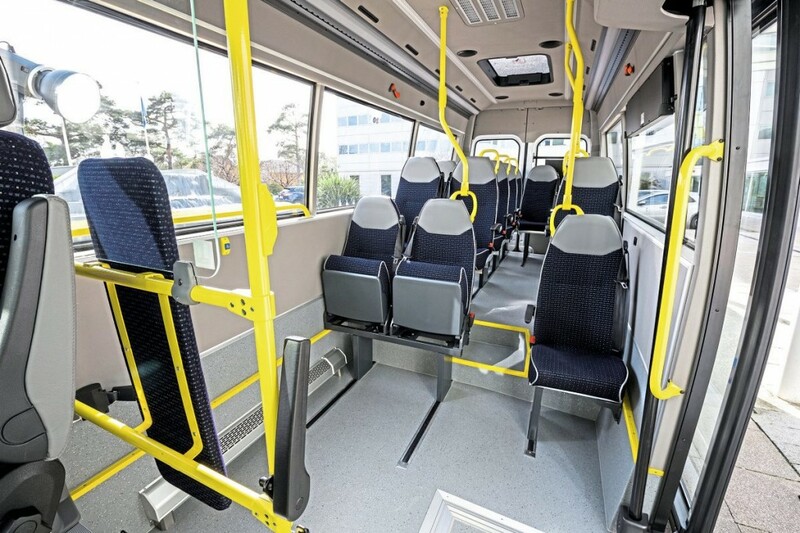 The ability to carry up to 25 passengers on a much more flexible and economical solution being enough to win over both the service operator and awarding council. Another operational model he sees it suiting is one similar to Arriva Click, which uses the Sprinters. There are no scheduled routes as such, but the vehicles on the service are guided through the streets using an algorithm that links the whereabouts of passengers with the best vehicle for them to catch, with customers booking transport using an app. EVM has moved away from amber lettering on its Hanover destination displays and now uses white. The advantage, Peter says, is it gives a higher contrast, making it easier to see for those with vision loss. It has even worked on redesigning the driver area to incorporate a ticket machine, luggage area and a driver protection screen. The next customer-type to take to it after community transport was councils. Peter said: “I work with local authorities to make them aware of the vehicle, why it is different and why it is better. 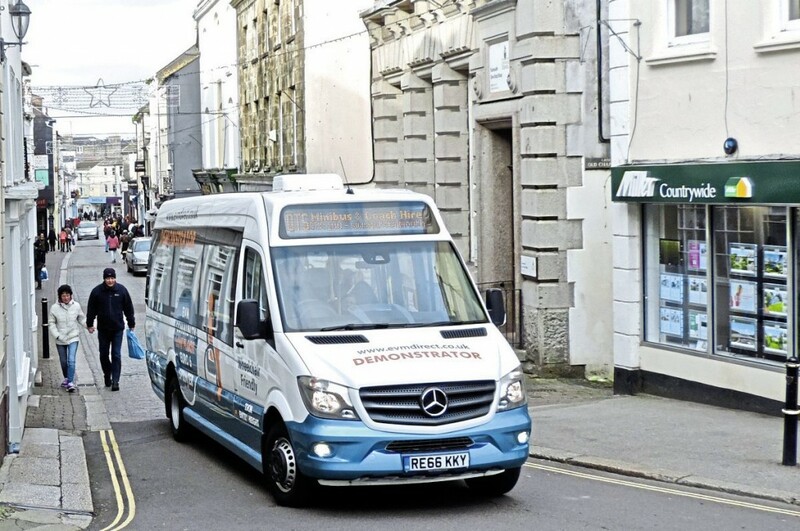 It’s about building awareness, councils appreciate that and they have been involved in the development of the vehicle.” Peter can even visit councils on customers’ behalf, bringing a demonstrator with him. Interest for the company’s lowfloor Sprinters is certainly growing, with their sales making a considerable percentage of its income in such a short period of time. In addition to the OneBus order and the high-profile Arriva Click roll out, Peter said even more exciting developments are set to come with the lowfloor Sprinter. 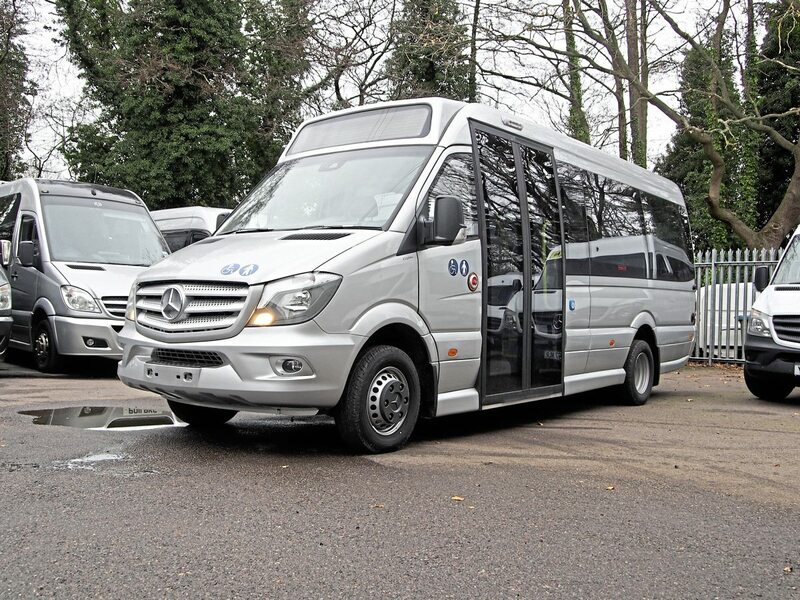 Perhaps one of the more notable developments for EVM’s Sprinter products is the order from OneBus for 260 12 seater Trends. 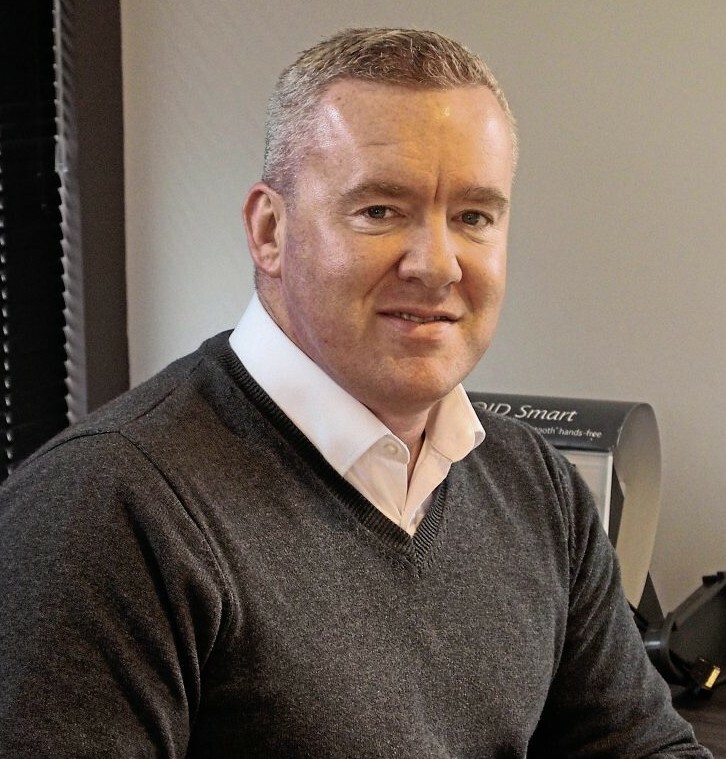 A £12m deal, it sees the company supply the vehicles in conjunction with Northside Truck and Van of Sheffield. 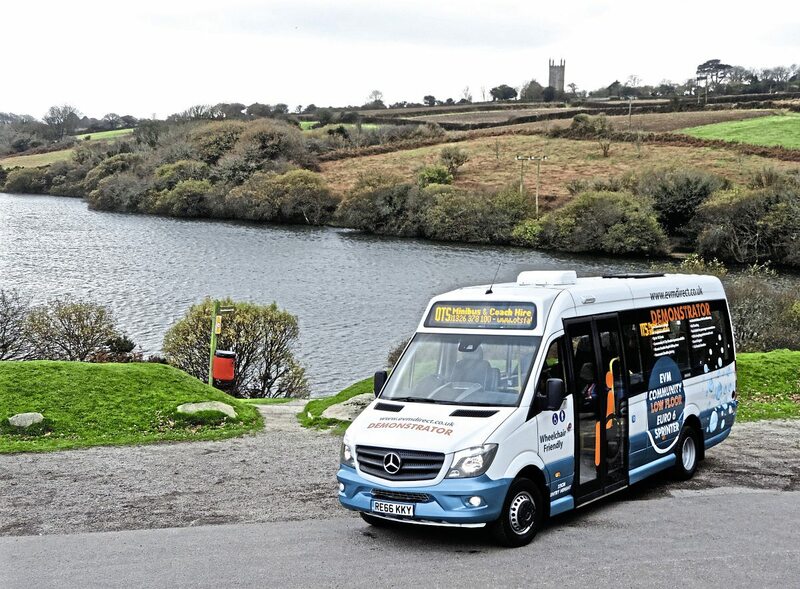 OneBus is a not-for-profit company, wholly owned by Focus Learning Trust operating a passenger transport service, for educational charities that run schools within the Focus Group of schools.